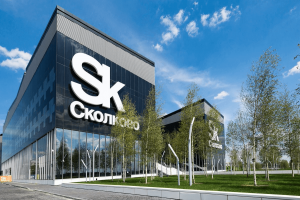 Metacommerce has received a status of Skolkovo resident and became a member of the IT-cluster of the innovation center in March 2017. The Metacommerce platform is designed to analyze prices using unstructured data matching technology. Last year, the project received an investment of 60 million rubles from the Internet Initiatives Development Fund (IIDF). The developer of the service was approved by the expert council of the Skolkovo innovation center and was recorded into the register of project participants in March 2017. “The status of Skolkovo resident gives us the opportunity to attract additional expertise from other members of the IT-cluster of the fund. In addition, we will have tax benefits, which will significantly facilitate the development of our project,” comments Pavel Minchenkov, the founder of Metacommerce. Pavel Minchenkov added that the company plans to develop the platform as a comprehensive solution for competitive market analysis, which will allow tracking of changes in competitors’ assortment and market coverage along with the monitoring of price changes. According to him, it will enable retailers, manufacturers and distributors to have an understanding of the overall picture of the market. The GoTech ARENA forum was held on November 20 in Moscow, during which more than 300 technology companies presented their solutions to the investors and corporations. Since October 4, 2018, a new product classification service has been launched.